Looks like Browns Lane in Coventry is going to host again history of English motor culture or at least another attempt. CPP, a British specialist automotive group, has been appointed by Jensen’s owners, Healey Sports Cars Switzerland Ltd, to engineer, develop and build the all new Interceptor. 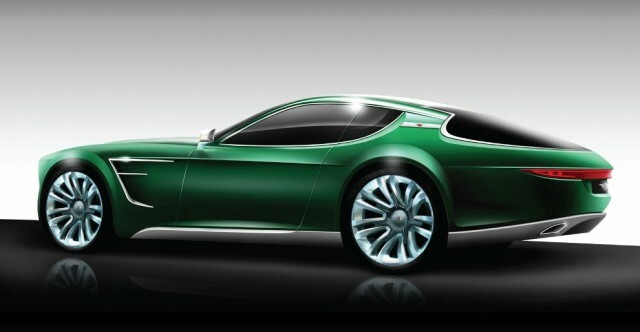 The car will apparently be a full aluminium body and will presented officially in late 2012. The first customers thou can't expect to park it in their driveway before 2014, any many things can change by then. The first images are at least encouraging, the "forte" of the lines seems to be updated but preserved and seems to be more than the usual "lower the car and put 21" low profile rims on it", even if they actually put 21" rims on it. The legend of the Interceptor tell also stories of dreadful fuel consumption dictated by the scary 6.2 and 7.2 V8 and this is a detail that I see less and less appropriate in a world where hybrid racers are about to approach the 24h of Le Mans. The intriguing aspect is that a brand new aluminium chassis is a perfect chance to solve the "barge like" handling of the original car, another legendary aspect of this British icon. 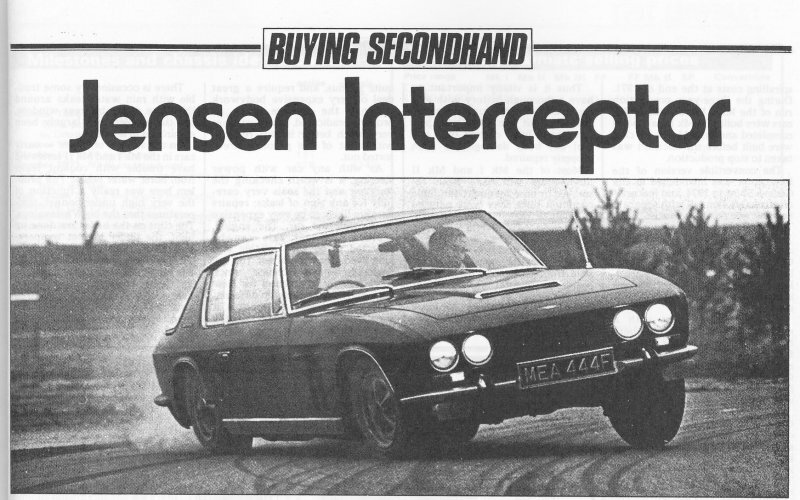 This isn't the first attempt to update the Jensen, the Interceptor R hit the market few years ago, but the asking price puts the car in a closed niche of enthusiasts with more money than sense, really. The old shell is completely stripped and rebuilt, engine, suspensions, brakes and transmission updated to what seems a corvette swap. The result is far from being a track day car or a performance GT and only love could make you ignore the much better cars available for a fraction of the price. So while waiting for the end of 2012 to have a clearer idea of what will truly be on offer, the best way to go seems looking for a real deal and try to stay away from money pits projects. A quick search brought me this example for sale in Cheshire. The sentence "body needs attention" sounds alarming but the price tag of "£4.000 or sensible offers" sounds reasonable enough to be worth a visit in person. It seems material for a Future Regret. Sure is a far cry from the most desirable "FF" with its first time full 4WD ever seen on a production car, anti lock brakes and traction control. Only 320 of these were ever built and I haven't seen one of those for sale at reasonable price for years.